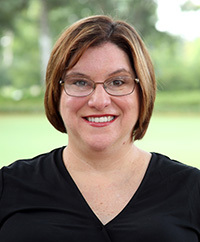 Joyce Mundy, Ed.D., assistant professor of Education, was featured in the Restorative Works 2018 Year in Review publication for her work with graduate students at Stetson on promoting diversity and inclusion in the classroom as well as her implementation of restorative justice practices in K-12 schools through the Nina B. Hollis Center for Educational Leadership. 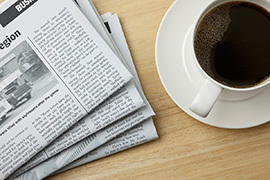 Professor Emeritus of Political Science, T. Wayne Bailey, Ph.D., co-wrote an opinion article in the Daytona Beach News-Journal titled “Rift pushes Volusia into dangerous waters.” In the article, he discusses the recent conflict between the Volusia County sheriff and the County Council majority and its basis in the passage of Amendment 10. 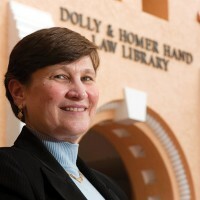 Law Professor Ellen Podgor is mentioned in the Dec. 7 Tampa Bay Times article, “Effective criminal justice reform requires collaboration, conversation and creative thinking.” The article also ran in the Dec. 9 Palm Beach Post and Dec. 10 Naples News and Dec. 11 News-Press. Professor Podgor is also mentioned in the Dec. 7 White Collar Crime Prof Blog. The Dec. 11 Beijing Institute of Technology reports on Stetson’s International Environmental Moot Court Competition. The Dec. 8 City Biz List reports that Law alumna Melody Lynch is chair of the Ninth Circuit Pro Bono Committee. The Dec. 10 Community Legal Aid reports that Thomas Lyden has recently joined Community Legal Aid as a staff attorney.